It is important to realize that the power to control your credit rating lies essentially in the way you organize your personal finances. Spending discipline holds the key toward developing a good credit rating. An old proverb has it that “having a good name is better than having riches.” In the twenty-first century, this saying could be translated as having a good credit rating is better than having a hefty pay cheque. It is important to realize that the power to control your credit rating lies essentially in the way you organize your personal finances. Spending discipline holds the key toward developing a good credit rating. If you spend in an ad-hoc or unorganized manner and have no basic rationale or strategy in place, it is highly difficult to secure a good credit rating. Below is a guide to help you develop an excellent credit rating. It is impossible to have a good credit score where you have not borrowed in the first place. In fact, people who are not rated due to unavailability of information (credit history or lack of it, especially for people older than 30 years) will in all likelihood have a modest credit score at best. The easiest way of building a credit history is to start borrowing; options include: credit card, bank loans, and cash secured facility. Ensure that you make all your payments on time. These include equated monthly installments (EMIs) on your credit card bills and loans. Preferably, make the payment before the due date after a cycle of a month. Regular and timely payments of your loan-related EMIs and credit card bills will go a long way toward developing a high credit score, thereby leading to a healthy credit report. To attain a higher credit score, it is advisable to have a larger proportion of your credit (in terms of value) portfolio on secured, long-term loans such as home loans and auto loans. Unsecured loans provide a much faster and easy access to finance, but a high concentration of such loans paints unplanned and potentially risky borrowing patterns. This deduction is arrived at even though you may be making all your payments on time without default. Unsecured borrowing is an expensive form of credit, as it involves high interest rates. Co-signed and joint accounts also contribute to your credit history and affect your credit scores. It is therefore of paramount importance for you to monitor these accounts on a regular basis. This category entails loan accounts for which you are a guarantor. By pledging as a guarantor to a loan, you bind yourself legally to the responsibility of ensuring timely repayment of the loan. In the event of late payments, defaults or delinquencies on part of the principal borrower, your credit score will also take a hit. Although the total size of your debt is reflected in your credit report and affects your credit rating and score, too many loans and credit cards increase the total amount of debt you owe and your credit exposure. This may affect your credit score negatively. To control this, ensure that you close some of the loan accounts through paying off or by consolidating the debt to one or two facilities before you apply for any new loans. 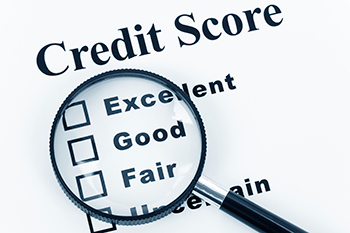 Regularly review your credit score and report, which shows your credit history. On some occasions, it is quite possible that lenders will delay transmitting information pertaining to paid-up loans. Albeit rare, one possibility is that these loans may appear as not closed. So, track your financial position and plan when you want to borrow. Having an excellent credit score enables you to negotiate from a position of strength and thus get better interest rates. But, prudent financial management holds the key. It is never too late to embark on this journey. So, start building your credit score and have meaningful targets that help you achieve an excellent credit rating.